Stay close to the action! Begin your adventure vacation at the newly renovated Comfort Inn® - Pocono Lakes Region. 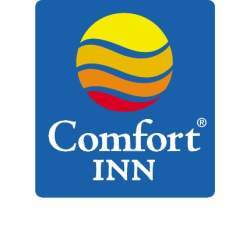 The newly renovated Comfort Inn® - Pocono Lakes Region is located in southern Wayne County, just a short drive from Milford, Lake Wallenpaupack and Claws ‘N’ Paws Wild Animal Park. Activities in the area include eagle watching, whitewater rafting, antiquing, shopping, horseback riding, fishing, hiking and golfing. Guests experience friendly service, beautiful rooms and affordable prices. Amenities include Twin Rocks Diner, complimentary hot breakfast, a family game room, 24-hour free coffee bar and free high-speed internet access.